The rain guard dome, mounts on top of 2.5 inch / 65mm feeder tubes to protect the tube, seed, and bi.. The Super Link is designed to hang another feeder, or cake feeder, below any of the Droll Yankees or..
Save £20 until 31st December! - free delivery to all zone 1 post codes. BirdCam is the latest tec..
Wild bird feeding station. An ideal entry level feeding station, consisting of a central po.. Contemporary nest box The Elegance nest box from Wildlife World is, as the name suggest.. 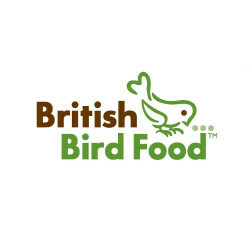 The Gold Gift Pack is filled with top of the range bird feeding products. It has everything required for any person to feed their garden birds. At £57.95 it represents excellent value, and a saving of over 10% off the RRP of all the products contained within. There are two Droll Yankees feeders, one New Generation for seed, and a New Generation peanut feeder, (All with the Droll Yankees lifetime guarantee). Then there is a suet ball and block holder, Complete with suet balls and 2 blocks, seeds, and cleaning equipment this pack is the perfect gift for any bird feeder, and with our next day delivery service someone can be feeding the birds straight away. Droll Yankees New Generation - 2 port seed feeder (including 2 free perch rings). Droll Yankees New Generation peanut feeder.